Welcome to the exclusive Active Trading Partners subscription-based advisory service. 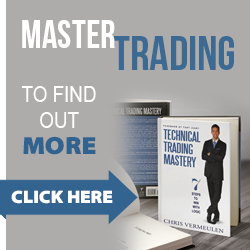 The revolutionary and counter-intuitive trading advisory firm, Technical Traders Ltd., led by Chris Vermeulen, acts as the Chief Investment Strategist, along with his joint venture trading partners for ATP subscribers. Firmly based on our accurate Elliott Wave analysis of markets, trends, ETF’s, and stocks. Our ability to identify the correct timing and crowd behavioral patterns into new portfolio positions just before reversals is unmatched. Chris has regularly projected pivot tops and bottoms in Gold, the S&P500, and other areas of the market using his own Fibonacci and Elliott Wave interpretations and analysis. We combine fundamental analysis and marry it with technical analysis/charting and forecasting skills to produce consistently profitable Stock or ETF Trading positions with low downside risk upon entry. We provide regular updates on all positions and trades, buy signals, sell signals, profit taking, and re-buying alerts, as well as charts and forecasts. We provide 24/7 Email access to our strategist with quick response time and personal attention. This service is very exclusive and limited to a maximum of 250 subscribers and intended to be a partnership of traders in a tight-knit group with the purpose of dramatically out-performing the market. We will not take more than 250 partners and expect to fill subscriptions quickly. A waiting list will be established. Please read our testimonials from actual subscribing partners and others, review our track record, and read our FAQ section as well. Members get new investment ideas and quickly see for themselves just how profitable trading can be if done correctly. But if you want a regular trader who consistently updates all of the open positions, gives you great technical entry and exit alerts on a regular basis, and combs the markets for outsized gains, then Active Trading Partners is for you. Join our revolutionary trading newsletter for entry and exit timing for Stocks and ETF’s.